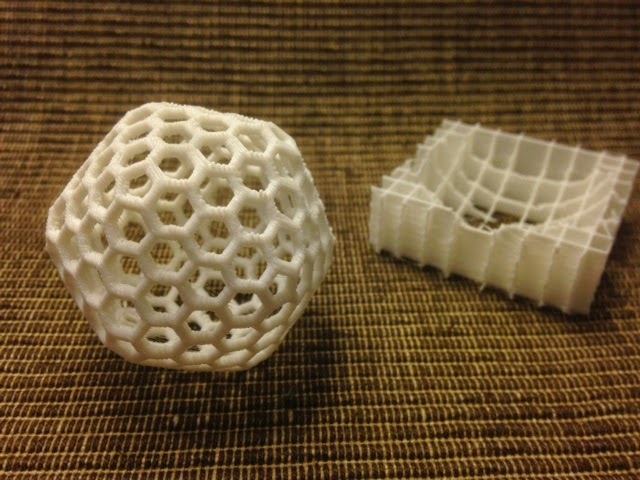 Today's print is the small Buckyball model from pmoews' Buckyball Easter Egg gift set on Thingiverse. 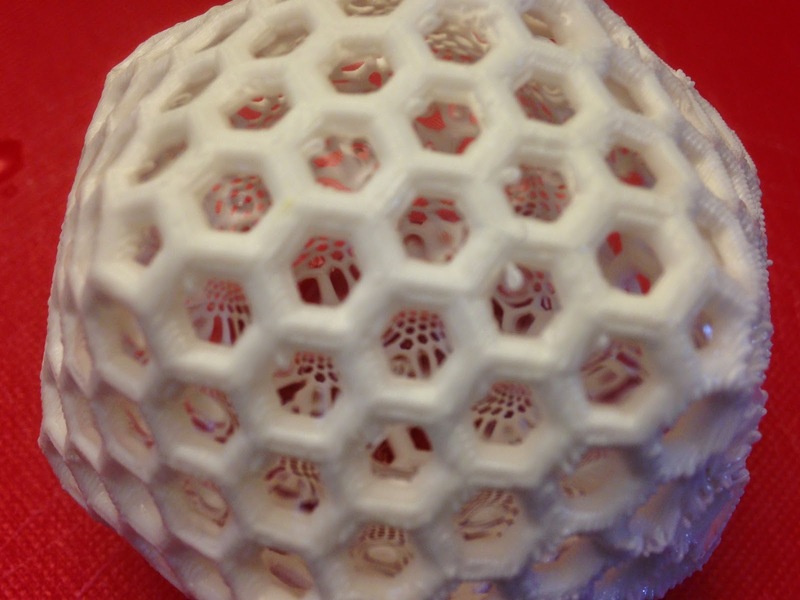 Like owens' Menger Sponge with External Support model (see Day 157), this Buckyball prints with no internal supports, while being supported underneath by an external custom-made removable stand that prints along with the model. Genius! Here's a shot of the Buckyball being laid down over the supports. Although it sits on the supports, it does so lightly, probably with some clearance added in the file so that it actually prints a tiny bit above the supports (at least that's how the Fidget Cube works from Day 145). 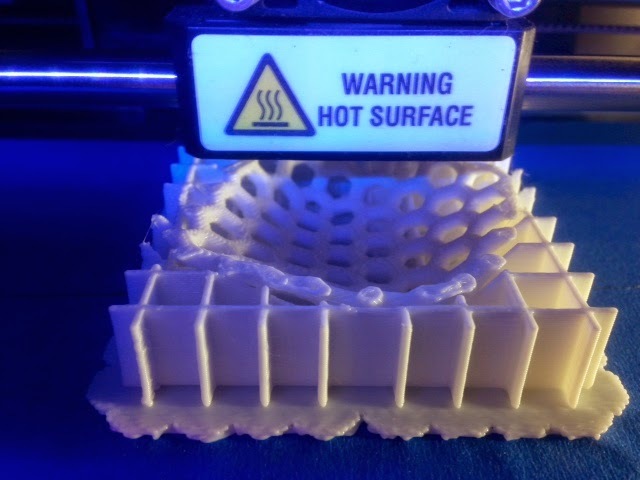 Settings: MakerWare .3mm/low on a Replicator 2 with no supports (except for the external support stand that is built into the model).